OVERVIEW: In this video, I explore how multimodal texts affect writing center tutoring pedagogy. Incorporating interviews with both teachers and tutors, I challenge the notion of “traditional” texts and argue for a genre based understanding of multimodal assignments. This project grew out of my experiences working within a writing center, both as a tutor and as an administrator. And while my own experiences led to my interest in the topic, the interviews that I conducted for the video really shaped my argument and the project as a whole. Through talking to other people about their experiences working with multimodal texts, I was able to gain a better understanding of both what the problems were and what we could do to help fix them. PROCESS: Because I’ve never created a video of this length before, a large part of the process was acclimating myself to the form. I began the process by conducting the interviews, because I really wanted these to help guide my thinking. After they were done, I wrote the script that would fill in the space around them. I then created (very) rough storyboards to try and figure out how I wanted it to all fit together. Finally, I started making the actual video itself, which proved to be incredibly recursive. Every element that you see in the final version was done at least 2 or 3 times, some of them many more. AFFORDANCES: The greatest affordance of this medium was being able to fully incorporate other voices. While collaboration is important in all work, I feel like it is particularly crucial to writing center studies. By weaving interviews into my own essay–and by having people actually speak for themselves–I think that the video form better captures the collaborative nature of my work than a print essay ever could have done. I also think that the video form will make this essay more digestible/shareable in the future. As many of you know, writing center tutor training often involves watching short videos, and I could see this video easily being incorporated into that training format. For my project, I am exploring how incorporating multimodal texts into writing centers alters tutoring pedagogy. And although I am making a specific intervention into a conversation in writing center theory, I am aiming my digital essay at a more general audience—comp teachers, writing center tutees—basically anyone who is (or could be) affected by this issue. Ultimately, I argue that the polarization of multimodal texts in current writing center theory (i.e., “treat them like any other text!” or “put them in a separate building!”) is unnecessary, because these texts adhere to writing center theory and, in the end, are not very different from the mythical “traditional” text that we already work with. As you’ll see, my essay is entirely in video format. I really struggled with figuring out what a “first draft” of a video looks like. I’m sure you all remember the particular challenges of creating videos—all of which don’t really lend themselves to drafts (that look like anything comprehensible). That said, I tried to do my best at creating what I wanted my video to look like without going so far that they idea of revision would be maddening. I accomplished this primarily by dividing my video into two halves. The first half is far more polished and complete—it’s basically what the whole video is going to look like. The second half is much rougher, particularly after about 10 minutes in, when it switches to all audio and an “under construction” image. For feedback, I’d like style focused comments on the first half and argument focused comments on the second half. Some prompting questions may be: what parts of the various video styles (white board, images, interviews) work and which ones don’t? Is the ratio that I use to mix these styles together too heavy handed on one side or another? Are there major stylistic changes I should make in the second half? Can you follow my argument at the speed with which it’s laid out? Are there certain areas that you think I need to clarify/expand (keep in mind that there are still more interviews I’m going to add in to the second half that help support some of my points)? Throughout the semester, we have been discussing how instructors are increasingly assigning both the consumption and production of digital texts. What we have not discussed, however, is how this alteration in classroom pedagogy affects the writing centers that aid these classes. 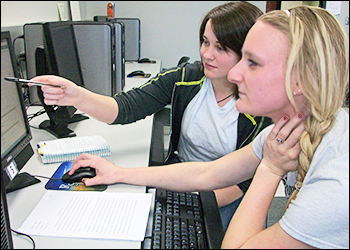 In recent years, writing center tutorials have seen an influx of digital and multimodal texts. Because of this influx, tutors and writing center scholars have had to expand what they consider “writing,” or, in other words, what types of texts they consider appropriate material for writing center work. In addition to rethinking what writing is, we also need to rethink the types of conversations that writing center tutorials engage in. While these conversations were once purely academic, they now include elements of visual design, popular culture, and humor—just to name a few. For my digital essay, I will examine how this shift in conversations alters writing center pedagogy. More specifically, I want to think about how the inclusion of digital assignments that span academic/popular conversations—e.g. blogs, “gif stories,” and mock-facebook conversations—change the conversations of the writing center tutorial. To accomplish this task, I will use the theoretical lenses of Kenneth Bruffee and Kenneth Burke to engage with current discussions of multimodal tutorials, such as David Sheridan’s and James Inman’s collection of essays Multiliteracy Centers: Writing Center Work, New Media, and Multimodal Rhetoric and Arlene Archers “Dealing with Multimodal Assignments in Writing Centers.” In addition to these scholarly works, I also hope to include video interviews of several UD writing center tutors on their experiences working with multimodal texts. As of now, I am leaning towards wordpress as my format for this essay. Because this is such a multifaceted issue, I imagine each post dealing with different aspects. I have chosen wordpress because of the more conversational nature of the blog format. Because pedagogy is always developing, I do not want this essay to be a final word on multimodal tutorials. Rather, I want it to participate in a conversation that other writing center scholars can comment on and contribute to. I’m imagining my blog to follow a format similar to that of a specialty recipe blog. I want it to contain posts that are all different from each other, yet linked together under the same theme. So like this vegan dessert blog, my posts will all contain the same types of ingredients, but put them together in various ways to show different recipes writing center strategies. Right now, I have two pressing (groups of) questions: first, do you think that wordpress is the best format for this project? What about my recipe blog analogy? How literally do you think I should take this analogy? Is there some other format that you think I should consider? And, second, because you have all been writing center tutors, are there certain issues that you think are really important for me to address? What were the biggest challenges that you faced when working with non-traditional texts in the writing center? What other conversations do you think multimodal texts bring to writing center tutorials?